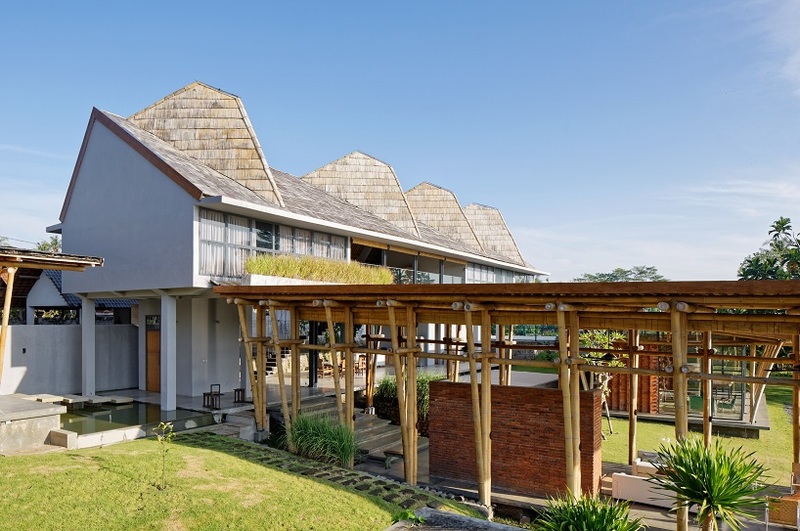 Made from bamboo and organic materials, this home from Budi Pradono combines the modern world with Balinese philosophies on dwellings to create beautiful, functional and environmentally friendly buildings in Bali. The building is based around a Balinese spatial concept, consisting of three distinct zones. Bali’s tourism industry drives the local economy. According to recently released official government statistics, around 50% of the island’s population are somehow involved, or are reliant on tourism for their livelihoods. Promotional campaigns, social media and word of mouth have managed to swell numbers to record levels with more than 6.5 million foreign arrivals this year, an increase from 5.7 million in 2017 and 4.9 million in 2016. Gapura Bali recently reported that next year the central government is targeting 20 million visitors to Indonesia and Bali is expected to take the lion’s share with 8 million. But does this quest for the tourist dollar come with a downside? More and more people are looking at the impact these ever increasing numbers are having on prices and infrastructure. The property and tourism industries have been strongly connected across Indonesia and especially in Bali for years. As visitor numbers climbed so to do did the price of land and from 2010-14 prices sky rocketed to dizzying heights. There are other, more subtle influences tourism has on a place like Bali; culture is one of them. Even though many people still come to the Island of the Gods to experience its unique way of looking at the world, which is bound by harmony, ceremony and spirituality, there is the fear that the more that come the less of that culture there is to find. This was something discussed in the recent 2018 Art, Culture, Design and Architecture seminar in Sanur held by the Bali Province Cultural Development Institute (LIST). Dr. Ngakan Acwin Dwijendera, the Chair of the Committee, explained to Nusa Bali, that Balinese architecture is now faced with a dilemma between modern and traditional styles, which is a challenge for the Balinese who want to maintain local values but are also embracing global trends. These local values are important to look after as “they begin to shift in all fields of art and culture, including architecture," he said. This is very much the case with architecture, Dwijendera argued, especially because visitor numbers are climbing. As more tourists arrive more places are being built for them to stay. Unfortunately, more developers are building these places who do not understand the content or value of Balinese culture and architecture. For example, there are seven key philosophical aspects in the design of traditional Balinese dwellings covering harmony, spatial zoning and the scared axis between mountain and sea, and some, if not all, are ignored to accommodate western tastes and maximise space to make as much money as possible. But Bali is all about balance and this is what Dwijendera and others at the seminar believe is the solution; seeing the current situation as an opportunity to blend modern and traditional styles. He asked architects and developers, which could also include private investors building their ‘dream property’ in Bali, to innovate and be creative but within the context of Bali’s philosophical concepts. This would not only identify buildings as having a distinctive “Bali style” but would also retain continuity of local wisdom and beliefs. Modern technology has led to incredible steps forward in design and construction as well as innovations in alternative energy and a greater environmental awareness. These could all be developed alongside traditional Balinese beliefs to create a new architectural style, not only contributing to sustainability but leaving a legacy future generations would be proud of. This isn’t such a crazy idea. Over the years the Balinese have successfully managed to adapt to foreign influences and integrate them into their rich cultural heritage. The world famous Kecak Dance for example, which most people associate with a traditional Bali temple performance, was actually created in the 1930’s by German artist and musician Walter Spies and intended to be performed for visiting western tourists. Spies is also widely credited with introducing a new style of painting, which most would now believe was traditionally Balinese. The question is, could architecture also bridge that cultural divide and combine progress with tradition? The short answer is a resounding ‘yes!’ And one look at Budi Pradono Architects’ Casablancka House in the village of Kelating in Tabanan on Bali’s southwest coast is why.